Christmas is coming to the White House a bit early this year. President Donald Trump and first lady Melania Trump received the official White House Christmas tree Monday. Strains of "O Christmas Tree" played Monday as horses pulled a wagon carrying the tree up the White House driveway to the North Portico. The Trumps walked around the wagon to inspect the tree before going back inside the White House. First ladies typically receive the tree on the Friday after Thanksgiving, but the Trumps are expected to spend the holiday at their home in Palm Beach, Florida. The 19-foot-tall Fraser fir is headed for the Blue Room, where it will become the centerpiece of Christmas at the White House. Volunteers spend the weekend after Thanksgiving decorating the mansion. The fir was grown on a farm owned by Larry Smith of Newland, North Carolina. His Mountain Top Fraser Fir farm provided the tree after winning the National Christmas Tree Association's annual contest. The tree might have been an unlikely candidate for the role. Smith said last week that the tree "got the last laugh" after he "basically abandoned it." He told The Charlotte Observer that the fir didn't seem to be doing as well as others so he hadn't trimmed it in a couple years. But two White House officials "just loved the natural look to it." Jim and Diane Chapman, owners of a Wisconsin Christmas tree farm, won another contest from the association to present the tree to the first lady. 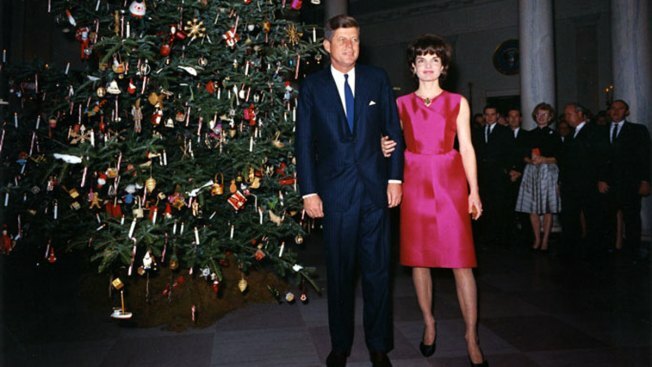 The group said the Chapmans also presented trees to the White House in 1998 and 2003. More White House holiday festivities are coming up. On Tuesday, Trump will pardon the National Thanksgiving Turkey. The White House revealed the candidates, named Pea and Carrots, on Monday. 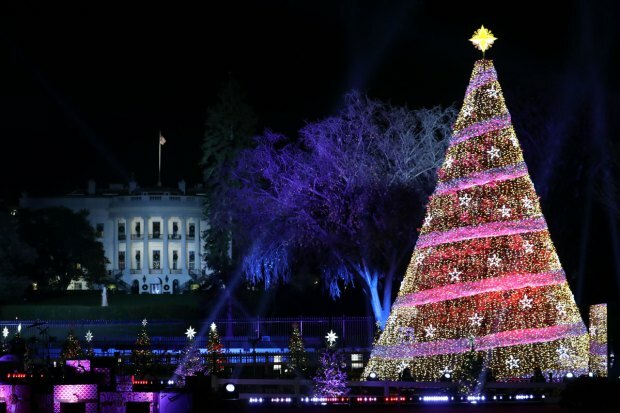 And the White House Christmas Tree Lighting, during which a tree outside the White House will be illuminated for the first time this season, will be held Nov. 28. However, the lottery for free tickets has already closed.